In the previous episode of The Flash, Barry and Iris’ daughter, Nora, was temporarily crippled by Cicada. Barry was so incensed that he nearly killed Cicada out of anger. Fortunately, Nora was able to talk Barry down…but they really should have cuffed Cicada when they had a chance. In the aftermath, Barry set upon a new way to stop Cicada by appealing to him as a father. 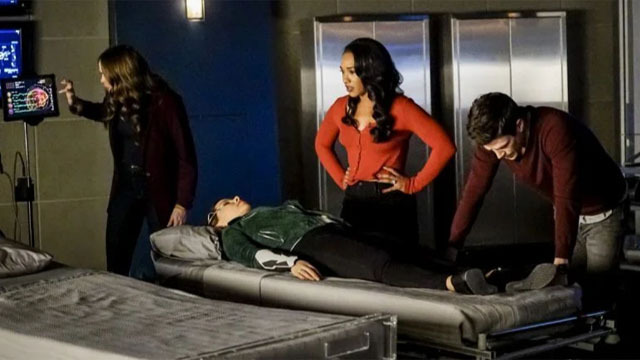 To do that, Team Flash had to find a way to wake Cicada’s niece/adoptive daughter, Grace, from her coma. In The Flash season 5 episode 12, the biggest obstacle to that objective was Nora’s alliance with Eobard Thawne, the Reverse-Flash. Nora couldn’t let her parents discover her secret, and that nearly got them all killed. If Nora makes a bad decision, it must be Tuesday. Sherloque Wells’ memory machine seemed like the ideal way to enter Grace’s mind and guide her out of the coma. However, Nora was so paranoid about exposing her own secrets that she rejected Sherloque’s advice to use the machine in pairs. Instead, Nora entered Grace’s mind on her own, and was promptly trapped in the child’s coma dream. Team Flash eventually learned what happened, and sent Barry and Iris in after their daughter. Nora learned that Grace’s body may be comatose, but her mind was still active and listening. Grace not only knew about her adoptive dad’s alter ego as Cicada, she supported his crusade. 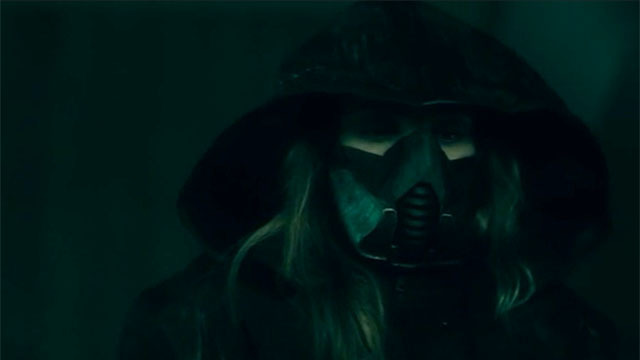 Grace even created a copy of Cicada in her own mind to hunt down and destroy Nora. After evading the danger, Nora lied to Grace in an attempt to coax her out through a portal. In response, Grace brought forth a female Cicada, which may be her future self. Grace remembered Nora after her escape, and condemned her as a liar. Meanwhile, Cisco and Ralph enjoyed a rare night off at a singles bar. Or more specifically, Ralph tricked Cisco into being his wingman by pretending to need a vibe on a lead for Cicada. Cisco quickly saw through the charade, and berated Ralph. Shortly thereafter, the young woman behind the bar struck up a conversation with Cisco. That gave Cisco the inspiration he needed for the metahuman cure. 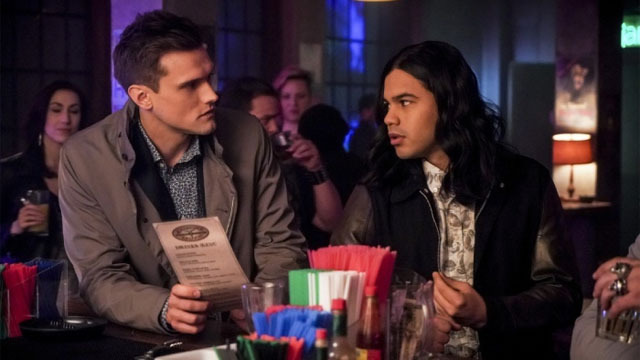 Cisco also got a text message from the bartender, which may lead to a relationship. 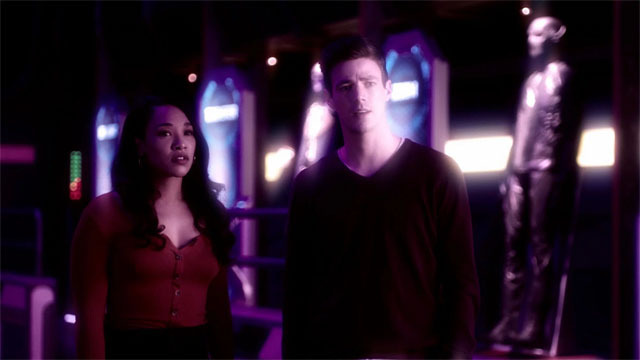 Barry and Iris used the memory machine to enter Nora’s mind, and found themselves in her memories. More specifically, it was the day Nora was brought into CCPD alone, just like Grace years earlier. Iris was dispirited to see her future self treat her young daughter so harshly at the Flash Museum. However, Barry assured Iris that the memory wasn’t real and the future could be changed. The Flash Museum exhibit for Cicada revealed that the killer returned in 2024, after the Flash disappeared. Perhaps this means Grace continued her uncle’s legacy. Nora’s mental defense mechanism was the Reverse-Flash, and its subsequent battle with Barry revealed that Iris tried to be a good mother for Nora. It allowed Barry and Iris to escape Nora’s mind, and then rescue Nora from Grace’s mind as well. Sometime later, Barry and Nora helped Iris celebrate her new office and her new newspaper: the Central City Citizen. That’s the name of the paper that featured the headline of the Flash’s disappearance. But as Nora pointed out, Iris’ actions caused the paper to be founded two years early. In a message to Thawne, Nora revealed that she’s working with him to stop Cicada. And she’s willing to keep lying to her parents about it. Meanwhile, Barry came up with a new strategy to defeat Cicada. Barry told Cisco and Ralph that he wants to use the meta cure on Cicada. 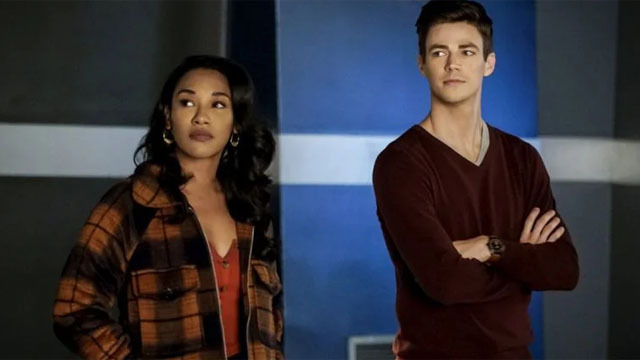 What did you think about The Flash season 5 episode 12? Let us know in the comment section below!